An incredible a 3-disc collection of 100 videos from the classic artists of Motown - The Miracles, The Supremes, Martha and the Vandellas + more! List Price: $27.95 New Price! 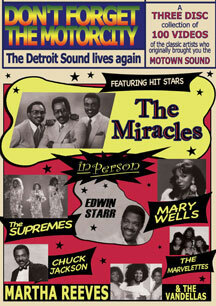 This incredible three-disc collection features 100 videos of the former classic artists of Motown! Its priceless footage captures the magic of a long gone era - music to make your feet tap, your hair tingle, and your fingers snap. 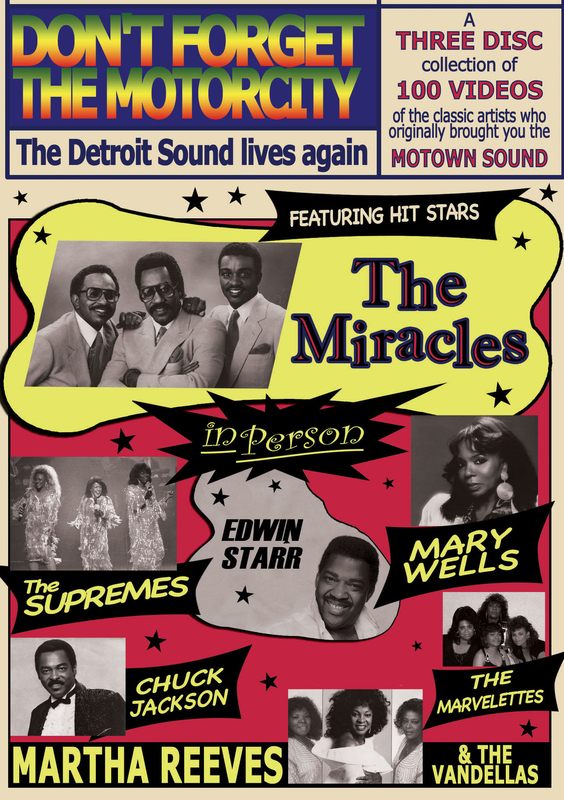 Some artists include The Miracles, The Supremes, Mary Wells, Martha and the Vandellas, The Marvelettes, The Velvelettes, Billy Preston, Syreeta, Edwin Starr, The Contours, Marvellous Marv Johnson, Kim Weston, Chuck Jackson, The Elgins, Johnny Bristol, Brenda Holloway, and so so many more of these incredible hit makers. Sadly over half these artists are no longer with us, but priceless footage remains, much of it never seen before the release of this DVD, so, sit back, press play, and feel the spirit of the legendary Detroit sound!